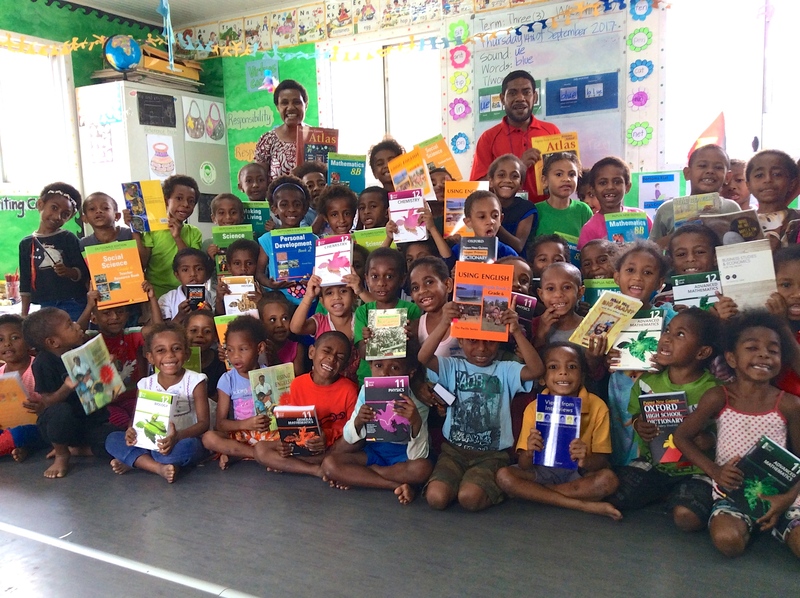 The donation was made as part of OUP’s support of Buk bilong Pikinini, a charity in Papua New Guinea that establishes libraries to teach literacy to disadvantaged children. The charity aims to foster a life-long love of reading and learning, increase literacy rates and empower vulnerable children. The much-needed books will be used to stock the University of Papua New Guinea library. OUP School Sales Director Richard Harms said the children’s smiles upon receiving the books were a reminder of the value of books and education. The donation is part of OUP’s mission to further the University of Oxford’s objectives of excellence in scholarship, research, and education. OUP Australia and New Zealand aims to support this mission through its charitable giving program. Below are some of the organisations that OUP ANZ supports.